Dr. Ryan Canales grew up in Rutland, Vermont. 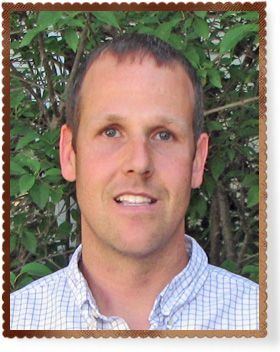 He founded Long Trail Veterinary Center with his wife in July 2012. Dr. Canales truly enjoys the vast diversity involved in the veterinary profession. "No matter how many years you're in practice, every day brings a new rewarding challenge," Dr. Canales says. He finds nothing more rewarding than seeing appreciative clients leave happy and healthy. "Our mission here is to provide the safest, most current knowledge for your family to make the best decision for your pet that fits into your lifestyle," Dr. Canales says. Dr. Canales earned his undergraduate degree in Biology (with a minor in Chemistry) from Castleton State College. He was awarded his veterinary medical degree, with Honors, from the University College of Dublin School of Veterinary Medicine, a constituent of the National University of Ireland. Dr. Canales is a member of the American Veterinary Medical Association, the Society for Theriogeneology (the science of animal reproduction) and the Vermont Medical Association. He is USDA-Accredited and certified in advanced reproduction and breeding technology and techniques. Since childhood, Dr. Canales' passion has been training and working with all breeds of working dogs. He is a licensed AKC Beagle Field Trial and American Field Trial Judge for pointing dogs. Dr. Canales and his wife reside in Williston with their 3 English Setters. Outside of the practice, Dr. Canales' interests include participating in triathlons, skiing, mountaineering, training and judging bird dogs and beagles, and spending time on the trails with family and friends. Dr. Karinda Elliott grew up in Central New York. She then moved to Georgia to attend the University of Georgia where she attained Bachelors of Science in Ecology and Biology. She continued her studies at the University of Georgia College of Veterinary Medicine. She graduated with her degree as a Doctor of Veterinary Medicine in 2006 with high honors. Dr. Elliott then practiced in the metro Atlanta area until late 2013, when she and her husband purchased an RV and starting exploring the United States. She always knew that the Northeast was home and after spending several months in Vermont, she knew Vermont was it. She is happily making the Burlington area home with her husband, their German wirehaired pointer, and their feline friend. Dr. Elliott has always been passionate about veterinary medicine. Her passion has only grown with her decade of experience. She finds it extremely gratifying helping patients live full, healthy, happy lives and helping pet parents deepen their human-animal bond. While she loves all aspects of veterinary medicine her professional passions include physical rehabilitation, internal medicine, soft tissue surgery, dentistry, and feline medicine. She received her certification in physical rehabilitation in 2012 from the University of Tennessee. She is also USDA accredited and a member of the American Veterinary Medical Association. Outside of veterinary medicine, Dr. Elliott's interests are traveling, local food culture, hiking, reading, and spending time with family and friends. Of course, she also loves winter sport activities.